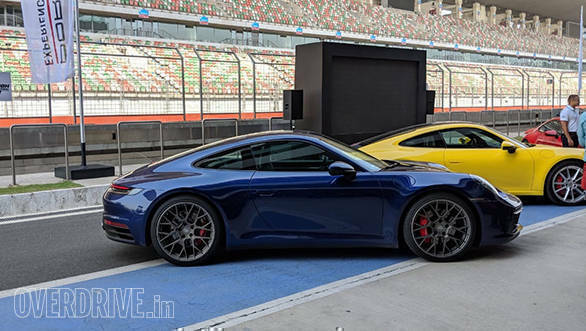 Porsche has launched the eighth-generation of their iconic sports car in India, with prices starting from Rs 1.82 crore, ex-showroom for the Porsche 911 Carrera S. The new line-up includes the Carrera S and Carrera S Cabriolet (priced at Rs 1.99 cr), available in coupe or convertible body styles. 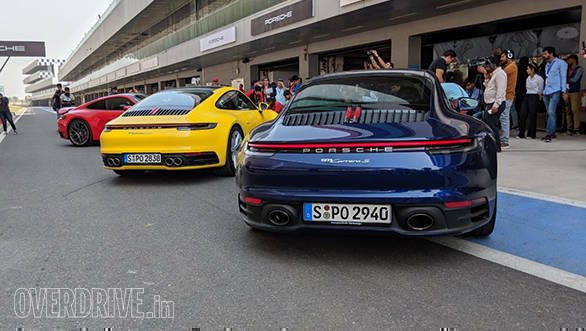 The new 992 series of 911 replaces the 991 series, which was in production from 2011-2018. Styling on the new 911 is best described as a subtle evolution of the iconic styling that has been a staple of the 911 range for over 55 years. In a few ways, the design of the new car is actually closer to the first few generations of 911, than the last generation. This is apparent in the hood which extends down past the headlights, where it meets the bumpers in a straight line. At the rear too, the full-length light strip is a modern take on the look of early Porsches. A big change, however, is that the entire range will now be offered with the same widebody look which characterised the all-wheel drive and Turbo models of the earlier generation. Additionally, this is the first time the 911 is being offered with a 20/21-inch wheel setup front and rear. The interiors of the new 911 are completely revised and blend in new tech with heritage touches. So, while there's a new central 10.9-inch touchscreen infotainment, and digital driver's instruments, the central tachometer is analogue, and uses classic Porsche fonts for the dials. For the first time, the drive mode selector is available as a dial affixed to the steering wheel. The new 911 is smarter and safer, offering all the driver assistance systems as seen on other Porsche cars like the Panamera and Macan. A Wet driving mode comes standard, and autonomous emergency braking, adaptive cruise control and night vision are available now. With the move into the eighth-generation, the 911 also moves to a new platform, the MMB modular platform which can also incorporate hybrid powertrains. The 911 is the first car to feature the newly developed platform, and will next be seen underpinning the next generation of 718 Cayman/Boxter models. Powering the new 911 is a revised version of the carried forward 3-litre twin-turbocharged petrol, which now produces 30PS more than before, for a total of 450PS and 530Nm torque. Revisions include completely new intake and exhaust systems, and bigger turbos. These engines are now fitted with a particulate filter to help cut emissions. Now mated to a new eight-speed dual-clutch automatic (the outgoing generation had a seven-speed), the new 911 should prove to be more frugal as well. 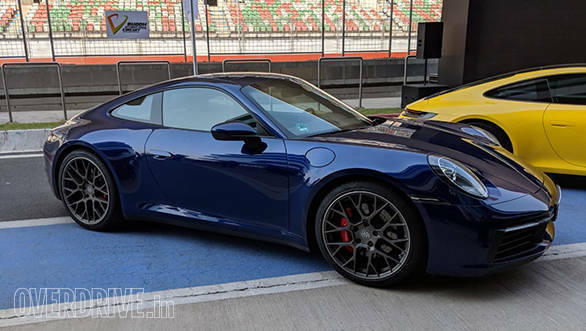 Performance figures are improved as expected, with the 0-100kmph dash now down to 3.7 seconds for the Carrera S and a top speed of 308kmph for the lighter Carrera S. As always, the optional Sport Chrono package comes with a few goodies to help cut the 0-100kmph acceleration dash further by 0.2s. The new Porsche 911 will challenge the likes of the Audi R8, Mercedes-AMG GT, amongst others.